an amazing restore-your-faith-in-humanity video. made me smile and laugh and cry. thank you grace at design*sponge. omg this is so touching. i have tears ! what is the story i wonder behind it ?????? wow this video is amazing. I wish I could understand what there singing about...I missed half the meaning. childhood sweethearts. southern wedding bells. hearts in eyes and on sleeves. hopelessly romantic. shamelessly disorganized. i love love. 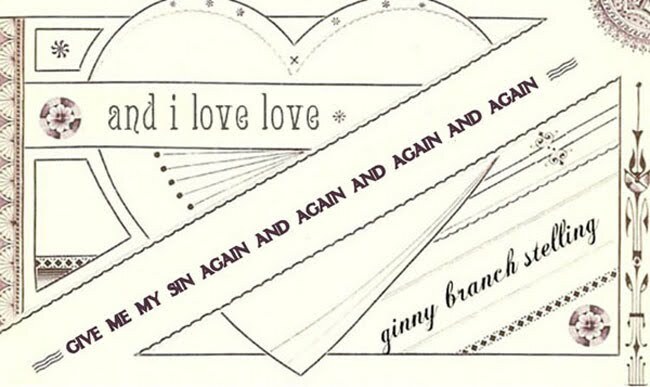 "hi, i'm ginnybranch stelling and i love love."